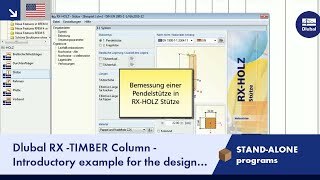 RX-TIMBER Column analyzes rectangular and circular timber columns according to the standard EN 1995‑1‑1 (EC 5) or DIN 1052‑2008. 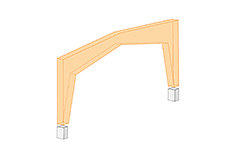 The stand‑alone program performs the ultimate and the serviceability limit state designs as well as fire resistance designs. 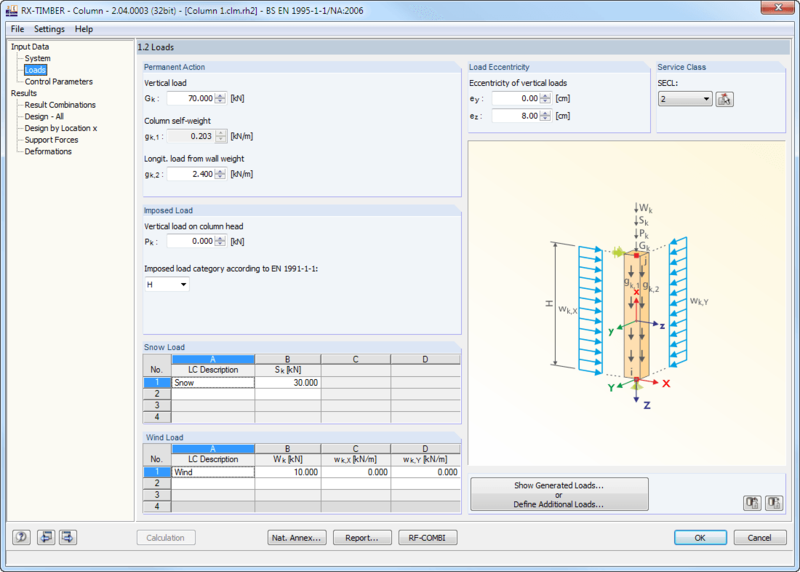 There are various options available for column modeling. Graphical representations facilitate the geometry input. Modifications are updated automatically. 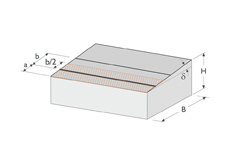 The relevant timber grade of the material can be selected from the material library. 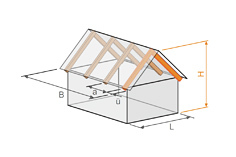 There are the strength classes of glulam, poplar and softwood timber available as defined in the respective standards. 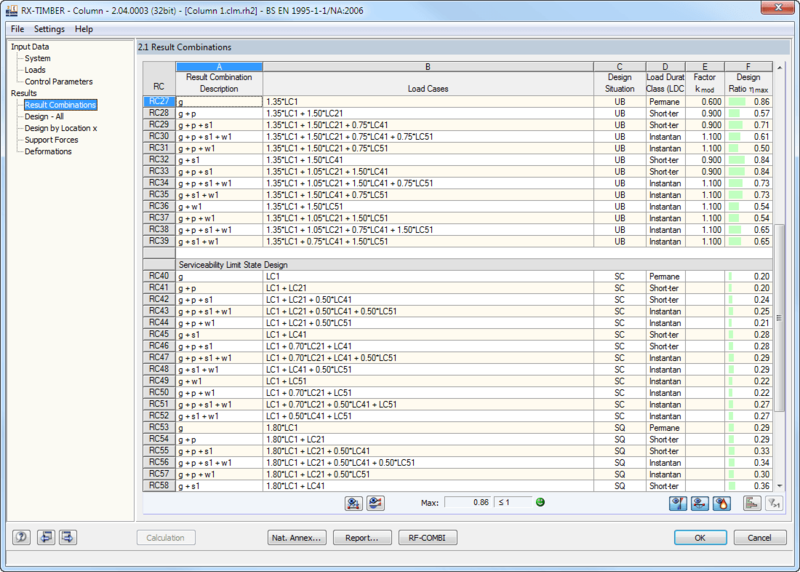 In addition, you can generate a strength class with user-defined material properties and thus extend the material library. 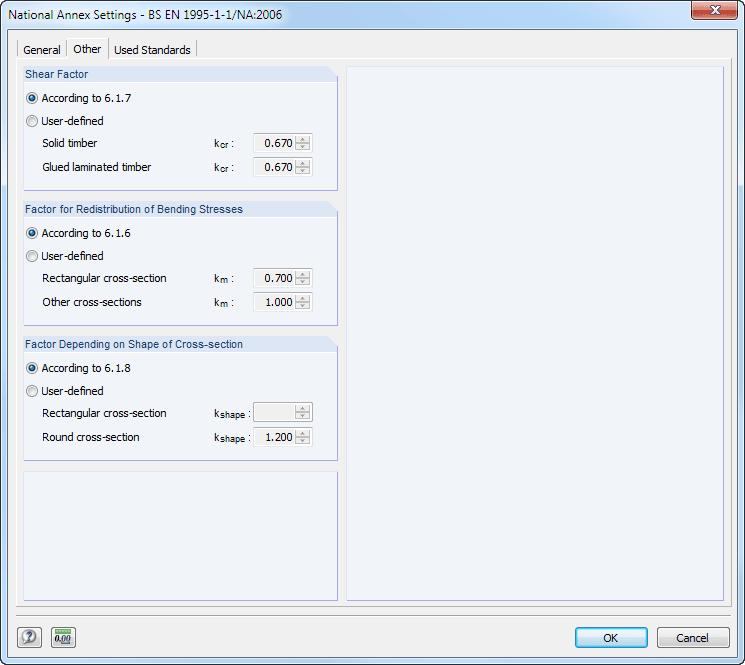 The load cases entered can be checked graphically and combined automatically in load combinations. 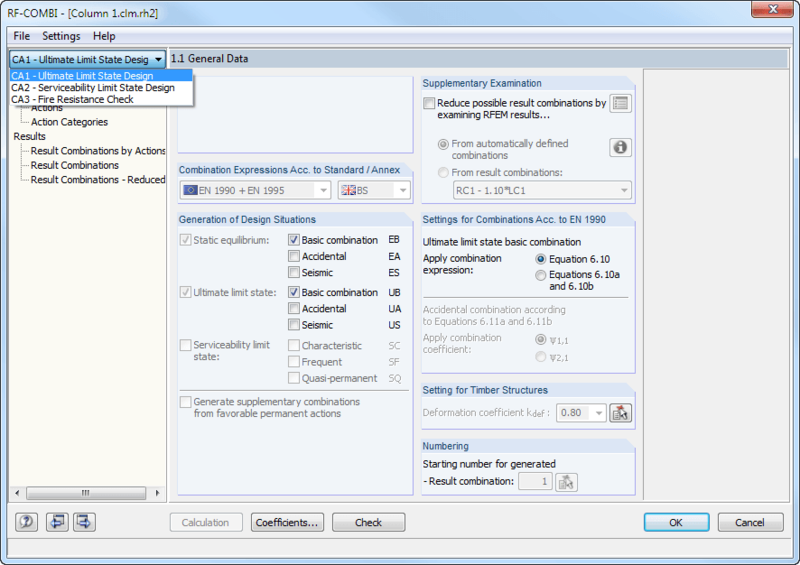 After the calculation, the results of performed designs including all required intermediate values are displayed in clearly arranged result tables sorted by various criteria. 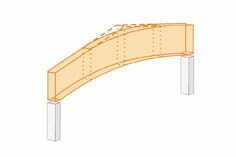 Since the program displays the intermediate values in detail, transparency of all designs is ensured. 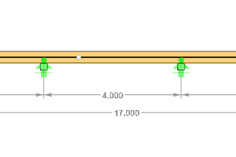 Furthermore, it is possible to display the distribution of internal forces for each x-location of the beam in a separate graphical window where you can display the deformations and the individual internal forces. 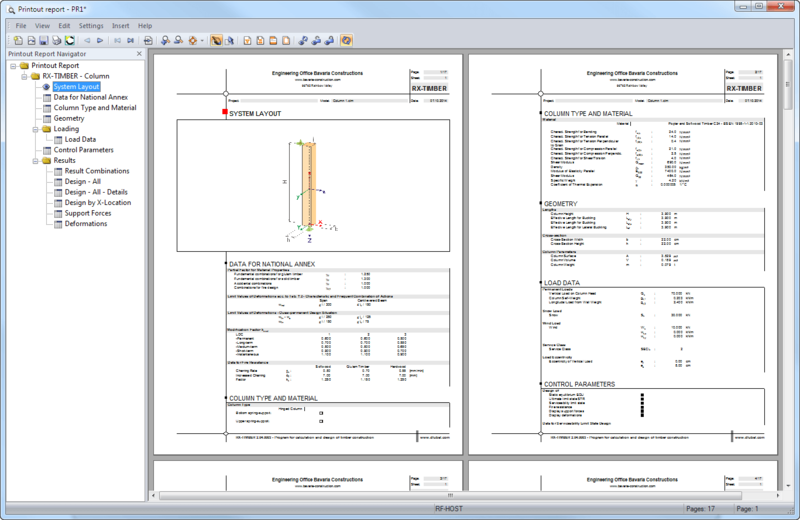 Designs with design details and selected result diagrams can be added in the printout report providing clearly arranged documentation. The printout report can include graphics, descriptions, drawings, and more. 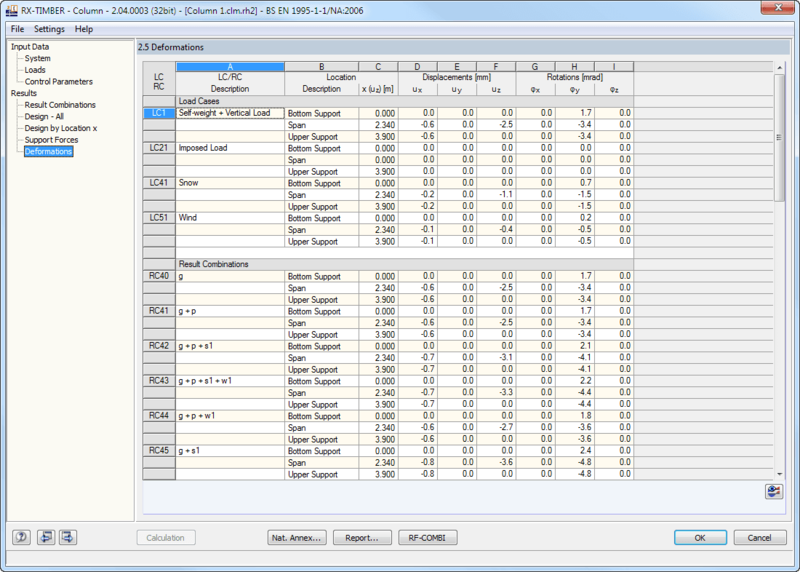 Moreover, it is possible to select which calculation data will be covered in the printout. 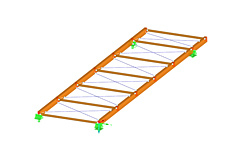 Do you have any questions about our products or need advice on selecting the products needed for your projects? Contact us via our free e-mail, chat, or forum support or find various suggested solutions and useful tips on our FAQ page. 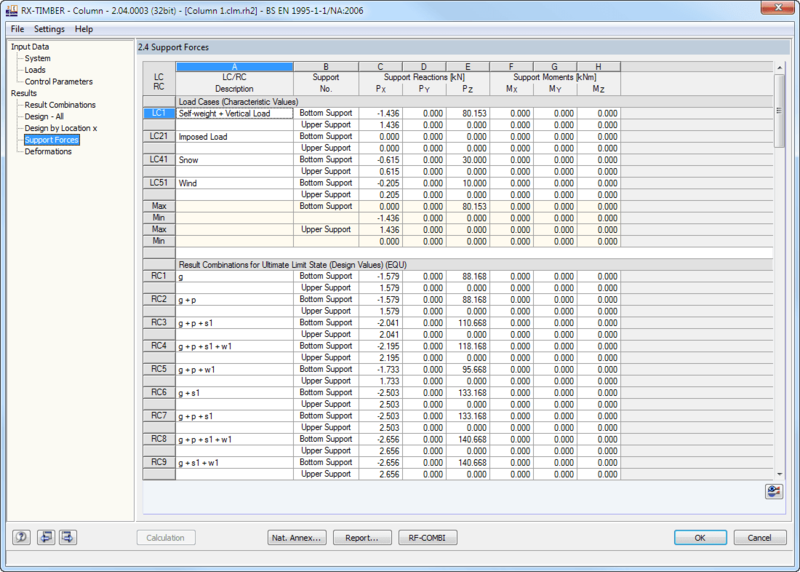 Interesting customer projects designed with the structural analysis programs by Dlubal Software. Price is only valid for the software usage in United States.